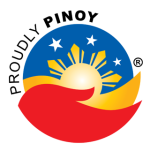 This entry was posted on Biyernes, Hulyo 11th, 2008 at 12:58 hapon and is filed under tag. You can follow any responses to this entry through the RSS 2.0 feed. You can leave a response, or trackback from your own site. Heyyo my friend! Gosh, this is fun! fun! fun! # 13. to brainteaser: hindi ako. i crave! sis, sori ngayon lang ulit nakadalaw… gawin ko na ito promise. busy lang talaga ako nitong mga panahon na ito. ingat lagi! if we hold on together talaga?